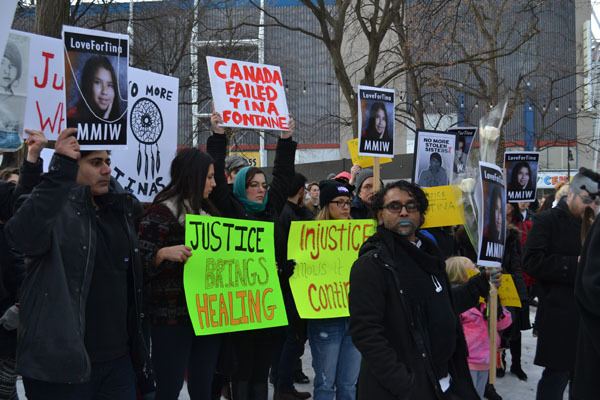 Two weeks after Gerald Stanley’s acquittal for the murder of 22-year-old Cree man Colten Boushie in Saskatchewan, a Manitoba courthouse acquitted Raymond Cormier of the murder of 15-year-old Tina Fontaine, member of the Sagkeeng First Nation. 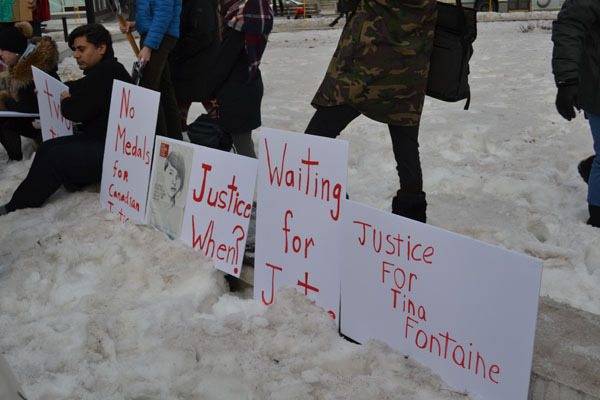 Montrealers gathered to mourn Fontaine, Boushie, and other Indigenous people denied justice in Canadian courts at a vigil in Cabot Square on Feb. 24. Ellen Gabriel, a Kanehsatà:ke activist and the first speaker at the event, emphasized Canada’s culpability in allowing crimes against Indigenous victims to go unpunished. 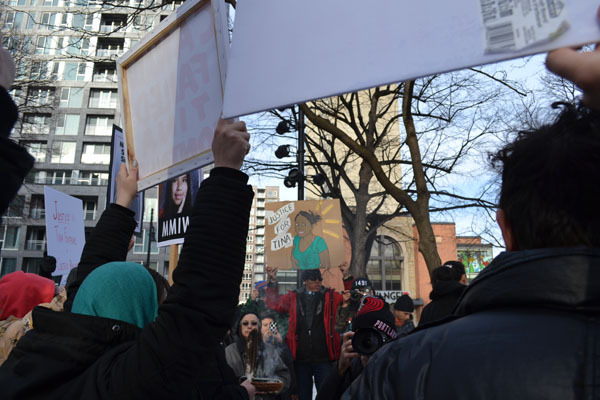 The event, which was organized in part by the Native Women’s Shelter of Montreal (NWSM), ended up drawing extensive press coverage and a crowd of about 400 people, according to the CBC. Both NWSM Executive Director Nakuset and Students’ Society of McGill University (SSMU) Indigenous Affairs Commissioner Carlee Kawinehta articulated the need for settlers to educate themselves about Indigenous peoples’ history and lived experiences, both in school and independently. Kawinehta added that non-Indigenous McGill students can begin by following the news and reading about initiatives for missing and murdered indigenous women. According to former Minister for the Status of Women and current Minister of Employment Patty Hajdu, Canadian Indigenous women like Fontaine are at disproportionate risk of experiencing violence, and as many as 4,000 have gone missing or been murdered since 1980. Gabriel also named numerous tools for Canadians to educate themselves, such as the Stolen Sisters report and the Royal Commission on Aboriginal Peoples. She and other speakers delivered resounding calls for change. 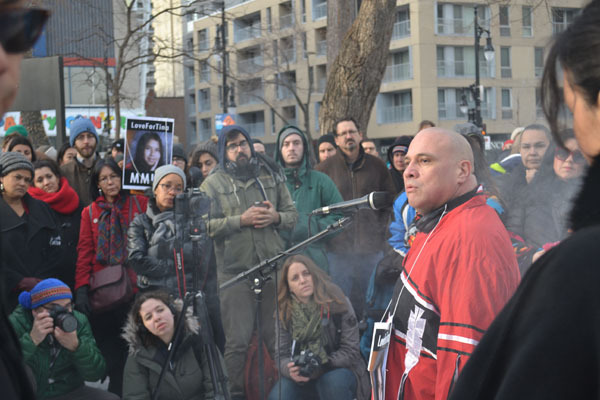 In his speech, Kanehsatà:ke activist and filmmaker Clifton Ariwakehte Nicholas praised the vigil’s large turnout, but stressed that attendance alone would not resolve the issues Canada’s Indigenous communities face.